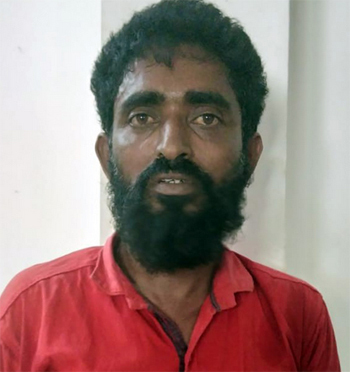 Mangaluru, Mar 30, 2019: According to a press release, Panambur police and sleuths from Mangaluru North Sub Division Anti Rowdy squad arrested Abdul Aziz alias Swami Aziz, 43, of Bengre and recovered 1.28 kg of cannabis. The police arrested Aziz while he was allegedly trying to sell the narcotic by hiding behind trucks at the parking area of Raftar Oil Depot in Tannirbhavi. Aziz and his wife have already been booked by the coastal security police for alleged illegal possession of cannabis.